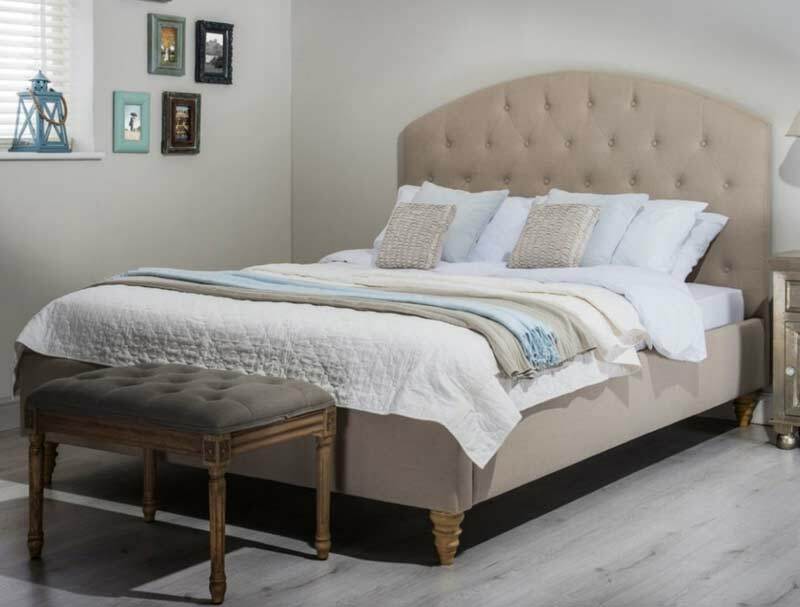 The Cadot Sophia bed frame offers a stylish more contempory look than the Merida with a rounded edge square headboard with button detail and a low foot end that is supported with sprial turned wooden feet. 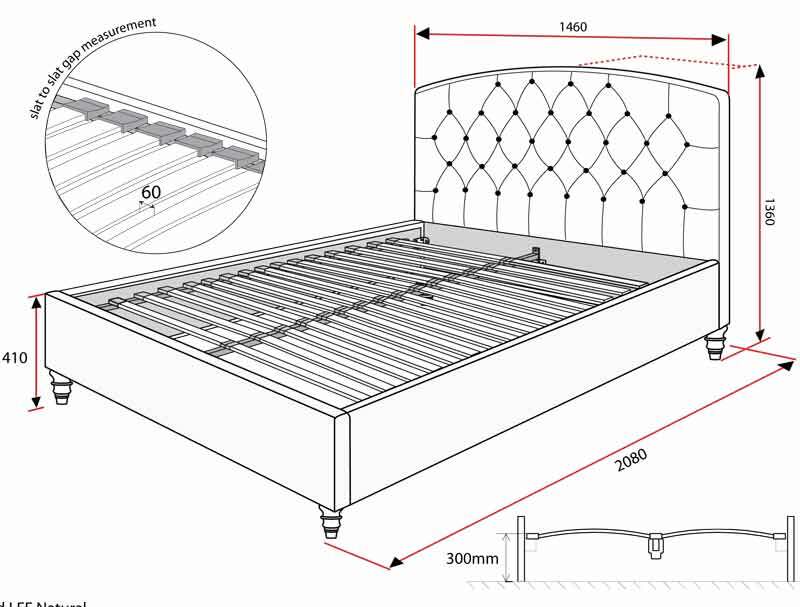 The Rosa bed frame is supplied in cream linen fabric and comes with a sprung slatted bed frame in double or king size. For any address in England, Wales or below Glasgow you can select a day for delivery. Any address above Glasgow it will take 5-7 working days for delivery.